Welcome to Kruba Orb Serpents! at KOS! Everyday something is happening here. 1. Do not steal any of the art used for Kruba Orb Serpents. It was and is produced by our staff and artists. 2. Do not spam this thread. No chatting here. If you want to add to/edit your forms/add more forms please edit your post if nobody has posted after you yet. IF YOU HAVE A COMMENT OR QUESTIONS, PLEASE TAKE THEM TO THE FANCLUB THREAD. 3. Do not attempt to make your own Orb Serpent in any situation. 4. Don't sell your Orb Serpents on-site, OR off-site. If you do not want your serpent, please notify a staff member. 5. Please do not harass anyone on this thread. This will not be tolerated in any way. 6. By default, you are only allowed to have 5 serpents total. You can increase this amount by using certain items that are made for expanding your slots. 7. Do not manipulate/edit your serpent in any way. This will NOT be tolerated. Last edited by ｓｕｐｅｒｍａｎｃｒａｙｏｎ on Fri Apr 19, 2019 12:31 pm, edited 347 times in total. View this post for staffing info! Please only use this badge if you are a staff member. This is the official KOS staff badge, if you are caught using it and you are not a staff member, you will be warned to remove it. Last edited by ｓｕｐｅｒｍａｎｃｒａｙｏｎ on Wed Mar 06, 2019 7:33 pm, edited 103 times in total. Orb serpents can have one element in their orbs: fire, nature, ice or water. You can tell which type a serpent carries by the color of the orb. If it's blue, it's water. If it's red, it's fire. Light blue is for ice, and green is for nature. All of these orbs are common. You may find some serpents with orbs that are not just one color, but maybe two+ colors or any other color, these serpents can be classified as "legendary orb carriers" instead of the regular "elemental orb carriers." These orbs do not have one element, but every element combined. These serpents can explore any area. Last edited by ｓｕｐｅｒｍａｎｃｒａｙｏｎ on Wed Apr 03, 2019 4:28 pm, edited 176 times in total. to be rescued! Which one will you save? All adoptions here are free! Keep in mind you must have enough spaces to enter in any raffles. entry forms should be posted on this thread. [size=85][list]I want to enter a litter raffle! Last edited by ｓｕｐｅｒｍａｎｃｒａｙｏｎ on Fri Apr 19, 2019 11:28 am, edited 240 times in total. We use pearls as currency! with the amount of pearls you received in the message. Pearls are added to the bank as soon as the trade is accepted. Note that we do not take omgsc or unknown rarity pets! [size=85][list]I want to use this! Last edited by ｓｕｐｅｒｍａｎｃｒａｙｏｎ on Tue Mar 19, 2019 9:49 pm, edited 273 times in total. ⒉ Use the directions within each quote to complete "missions" and win prizes. ⒊ Read all the instructions carefully, and be sure to fill out ALL sections of any forms. There are currently no events taking place! Last edited by ｓｕｐｅｒｍａｎｃｒａｙｏｎ on Tue Mar 19, 2019 9:50 pm, edited 106 times in total. Breeding serpents will give you three eggs to choose from, and you must have a nest to breed your serpents. If you have one nest, you can keep one egg. if you have two nests, you can keep two eggs, etc. You must take into account how many spaces you have left! (you can check in the archives how many spaces you have.) If you don't have enough spaces, you won't be able to use more than one nest. In order to breed you must have at least ONE space available! Any two serpents can breed. Only have one serpent? That's fine! You can find someone else with a serpent to breed your serpent with, as long as you have their permission! Both sides of the party must have an egg nest, unless one party decides to cover both egg nests and allow the other person to still claim an egg of their choosing. (group messages will be organized to decide which egg each party wants) If you have one, you can use a sunset gem to view your serpents before they hatch from their eggs, so you can decide which one to choose based on their final outcome. You can ONLY obtain sunset gems by exploring sunset islands. Last edited by ｓｕｐｅｒｍａｎｃｒａｙｏｎ on Thu Apr 11, 2019 12:13 pm, edited 81 times in total. You are allowed to order custom/mythic traits for your serpent. Pricing will be negotiated between artist and customer. To order a mythic serpent, describe the traits you want or add a ref image to the "traits I want" section, and add that you are requesting a mythic dragon in the "other" section. Your chosen artist should PM you and you may discuss appropriate pricing for the trait. FOR ALL CUSTOMS: You can watch the "custom-confirmations" channel in the discord server and see when your artist accepts your custom, as well as the official price of the custom, and when it is complete/the number of the serpent in the archives. SERPENT TRANSFERS: To transfer any serpents, you must have a transfer potion. You can buy one from Titana's Hoard in the shop for 15 sun coins and 200 flower petals. No pearls necessary! You must have a serpent from the v.1 lines to get any type of transfer. To request a transfer, please use the customs form but put "transfer" in the price sections. The traits that are showing on the original serpent will be the only traits to be applied on the transfer, you may not add or change any of the traits in transfers. It's possible we may not transfer specific traits over, as our trait list has changed slightly and we have retired some traits from the original version of KOS. Last edited by ｓｕｐｅｒｍａｎｃｒａｙｏｎ on Tue Apr 09, 2019 7:28 pm, edited 79 times in total. Want to help out the KOS community by becoming a part of the team that controls it? for your work when you're hired onto staff. PLEASE PM ALL STAFF APP FORMS TO ME WITH THE TITLE AS "KOS Staff Application"
DO NOT POST APP FORMS ON THIS THREAD. If you have sent a form in the past but had no response within a month or so and the position is open, you may resend your form. It was more than likely lost within a bunch of other PM's, and I apologize for any inconvenience. As an items artist, you get to draw and color items that are requested or items that you may come up with! These items can range from prizes (little images of tools/materials) to wearable accessories for the serpents to wear. You will need to be able to draw lines, shade, and color images. You can earn pearls based on the items you make. [size=85][list]I'm applying to be an items artist! Have you worked with pixels before? what program do you use? on what device? can you work with layers? are you confident in your lining skills? how about shading and coloring? Serpent artists have it hard! The base for these serpents is broken up into bits and pieces, and there's a lot of editing that has to be done to the lines for every serpent. Then, shading is required for any traits that are added to the original lines. After that, the designs are added! You will need to be able to edit layered PNG images, edit lines, shade figures/traits, and color unique designs. You will get a link to a stash folder with all of the trait lines, the main serpent line, and the gray scale shading. You can receive 30 pearls per serpent you make. 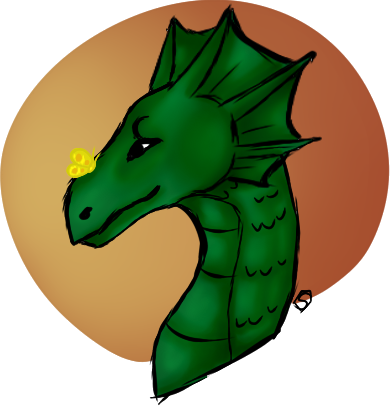 [size=85][list]I'm applying to be a serpent artist! can you work with multiple layers? When you are an exploring director you will "guide" guests through areas and give them their prizes for exploring. To do this you'll need to open notepad or word and count explores.. to count explores, copy and paste the username of the person that is exploring your area into your notepad/word doc with a 1 or 2 (if they do not have a serpent when they explore put 1, if they do have a serpent put 2), give yourself a few extra lines then copy and paste the next username, etc. When a user explores more than once just put a 2, 3, 4 under their name, but make sure you give yourself an extra line each time to give you space for when you roll their results. When you complete counting the explores use this number generator (generate 1 or 2 numbers at a time, between 1-100) and then based on the number you roll, you can use this number guide to find the corresponding prize. Make sure when you roll that you roll the correct amount each time, if a person doesn't have a serpent they get one roll per explore. If they do, they have two rolls per explore. This job is currently (subject to change) separated into five sections, based on the areas people are exploring. The Ice Slopes, Sunset Islands, Typhoon bay, Forbidden Forests and Molten Caverns. You are ONLY allowed to respond to searches from your area! You can earn 200 pearls each month you actively respond to searches. [size=85][list]I'm applying to be an Explore director! are you familiar with random.org? have you done anything like this before with adoptables? [size=85][list]I'm applying to be the archivist! Have you worked with any adopts before? are you able to work with/around bbcode? are you familiar with KOS, or the v.1 archive? do you understand the responsibilities of this job? -description wip- You will receive 20 pearls each week you are active on the thread and respond to incorrect forms/help fix thread mistakes. [size=85][list]I'm applying to be a Thread Moderator! if someone posts an incomplete/invalid form for a litter, what would you do/how would you respond in your post? if someone posts multiple forms for exploring one area before cs rollover, what would you do/how would you respond in your post? have you worked with adoptables before? have you moderated a thread before? In the Events post we have forum games that we occasionally host that allows users to participate and win assortments of prizes. As a forum game manager, you are responsible for hosting these games. A session includes at least 5 rounds of the game, but that can be extended if there are more users participating. Each user can only win up to 3 times per session, so that nobody can snag up every prize. It is best to have planned days in which sessions will be hosted. (ex. every friday and tuesday; every wednesday, friday saturday, etc) Extra information will be provided via discord. You will receive 20 pearls each week you host at least 2 sessions of games. [size=85][list]I'm applying to be a Forum Game Manager! have you ever hosted a game on CS before? Last edited by ｓｕｐｅｒｍａｎｃｒａｙｏｎ on Tue Apr 09, 2019 8:04 pm, edited 32 times in total. Last edited by ｓｕｐｅｒｍａｎｃｒａｙｏｎ on Fri Apr 19, 2019 11:21 am, edited 6 times in total.